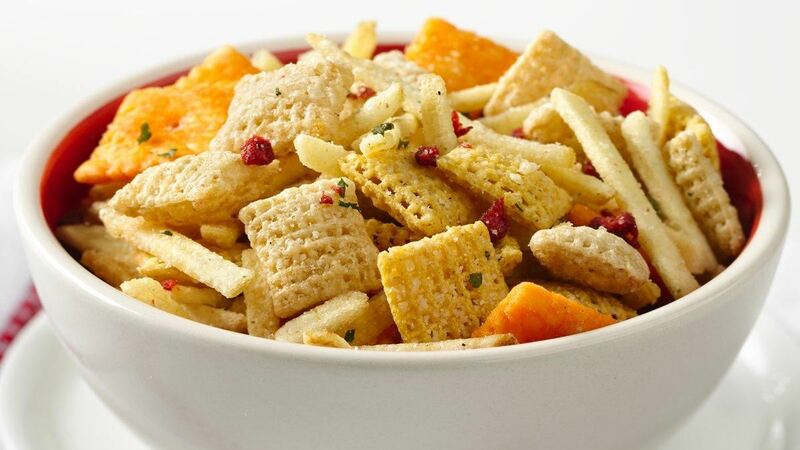 In large microwaveable bowl, mix cereal, potatoes, crackers and bacon flavour bits. In small microwaveable bowl, microwave butter uncovered on High about 30 seconds or until melted. Pour over cereal mixture; stir until evenly coated. Stir in dressing mix and cheese until evenly coated. Substitution : If other flavours of ranch dressing or dip mix are available at your grocery store, try one of these just for the fun of it!